Today I don’t want to talk about the life and deeds of St. Francis, I simply want to tell you what I see from the window of Casa Santicchio. 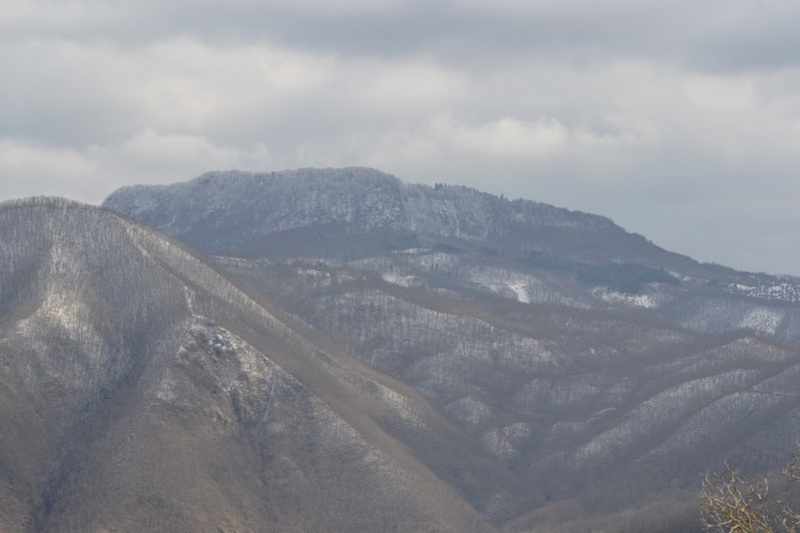 I see Monte Penna, the mountain of La Verna, wrapped in a light snowfall, march snow, which as they say here, comes in the night and goes in the morning. But getting back to the mountain, it was the place favoured by St. Francis for prayer and solitude, it seems that he came regularly here, from 1213 up to 1224 the year of the Stigmata. Nowadays, the mountain of La Verna is a must for all Franciscans and followers of St. Francis on pilgrimage. As for me, it’s the place my eyes seek to rest upon when I need a little peace of mind.